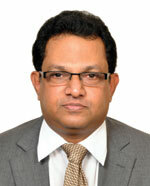 M. Dinesh Kumar is Executive Director, Institute for Resource Analysis and Policy (IRAP), Hyderabad. He has 24 years of professional experience in the water and agriculture sector, undertaking research, consulting, action research, and training. He is also the Associate Editor for Water Policy and the Editorial Board Member for International Journal of Water Resources Development. He has three books and nearly 150 research articles, including many in international peer-reviewed journals, to his credit.